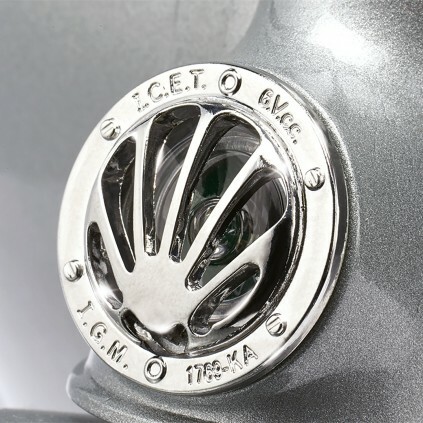 Build this superbly detailed all-metal 1:3-scale model of one of the best-loved symbols of Italian style and youthful freedom – the 1956 Vespa 150 GS. 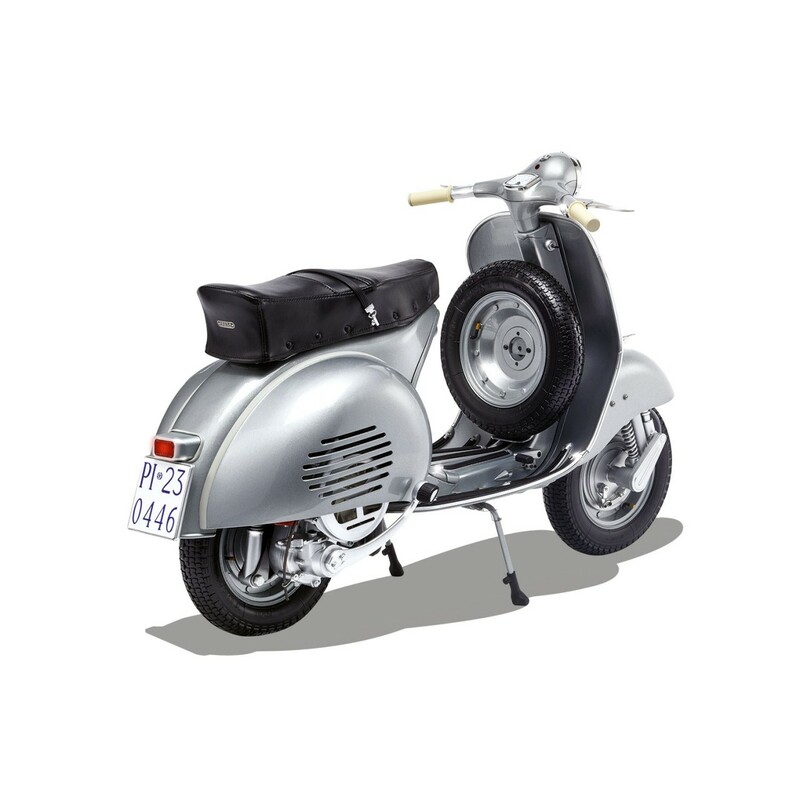 Conceived by an aeronautical engineer, Piaggio’s Vespa is a design icon, and the stylish 150 GS was a milestone in the history of the scooter. Launched in 1955, the 150 GS’s chic, clean lines appealed to younger riders, as did the sporty performance – a direct result of the speed records set by the factory’s racing team. 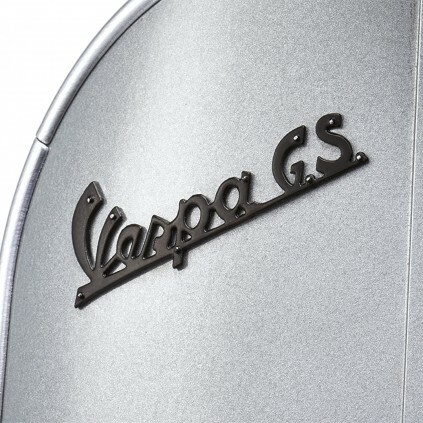 With a powerful 150cc two-stroke engine and a four-speed gearbox, the GS catapulted Vespa into the mass-market and by 1956, had hit its first million sales. 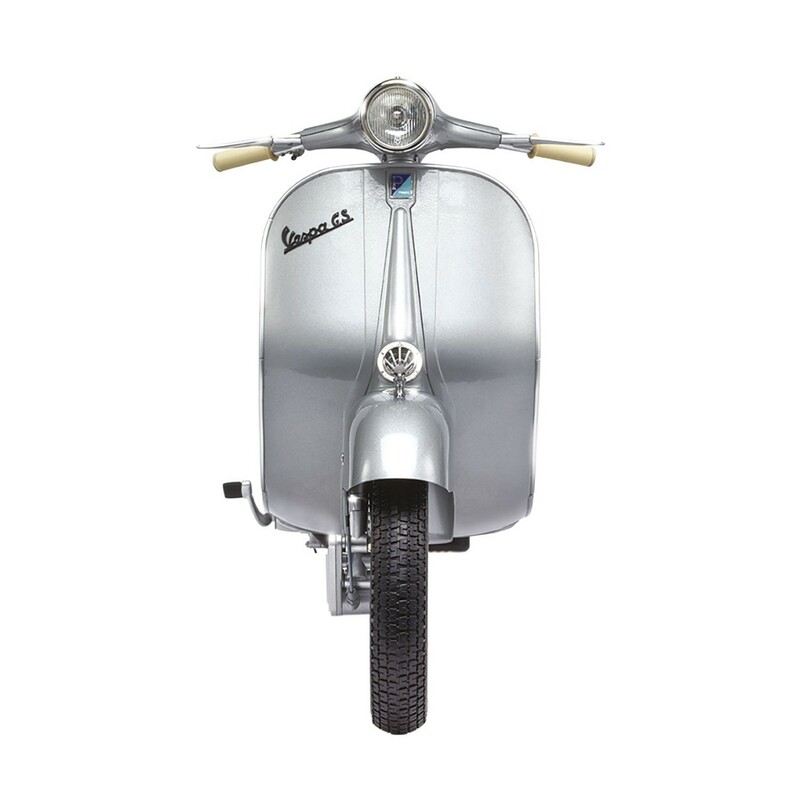 Today, mint examples are among the most sought-after classic scooters, and the original design is one of the most copied in history. 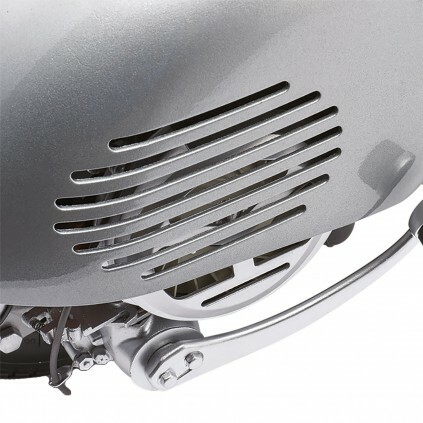 Made from die-cast metal and prefinished to a superb standard, all the mechanical components are assembled with nuts and bolts or screws, as much like the real scooter as possible. The rear cover is removable to examine the engine and transmission, and the model has working suspension, steering and electrics. 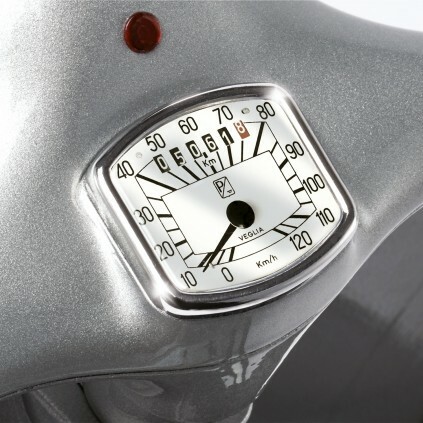 The generous 1:3 scale means that every tiny detail is visible, right down to the markings on the speedometer. 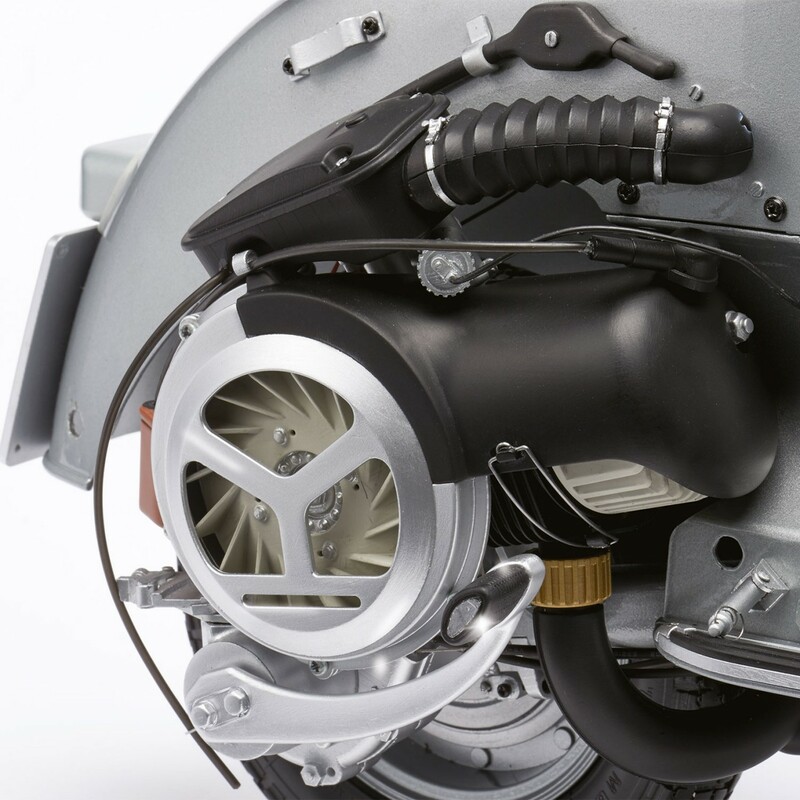 You can now build your own model of the Vespa by following the detailed step-by-step assembly guide which you can find here online, in the "The Build" section. 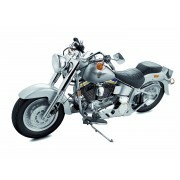 The impressive 1:3 scale model is accurate to the last detail, including genuine rubber tyres, operating kickstart, working electrics, chromium-plated details and much more! 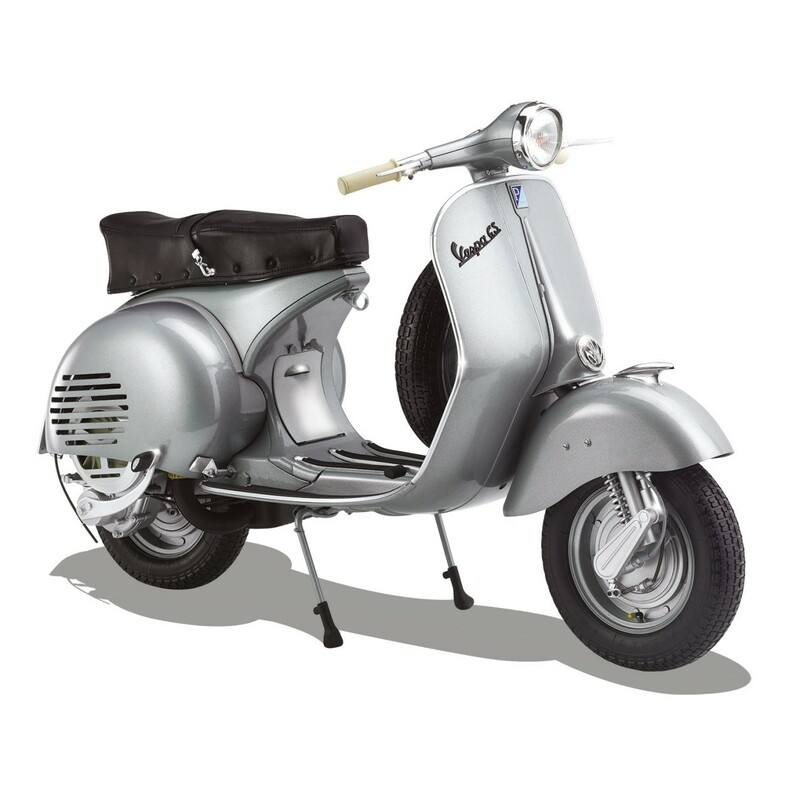 Your model of the Vespa GS 150 comes in impressive 1:3 scale and is a highly detailed replica of the original scooter. 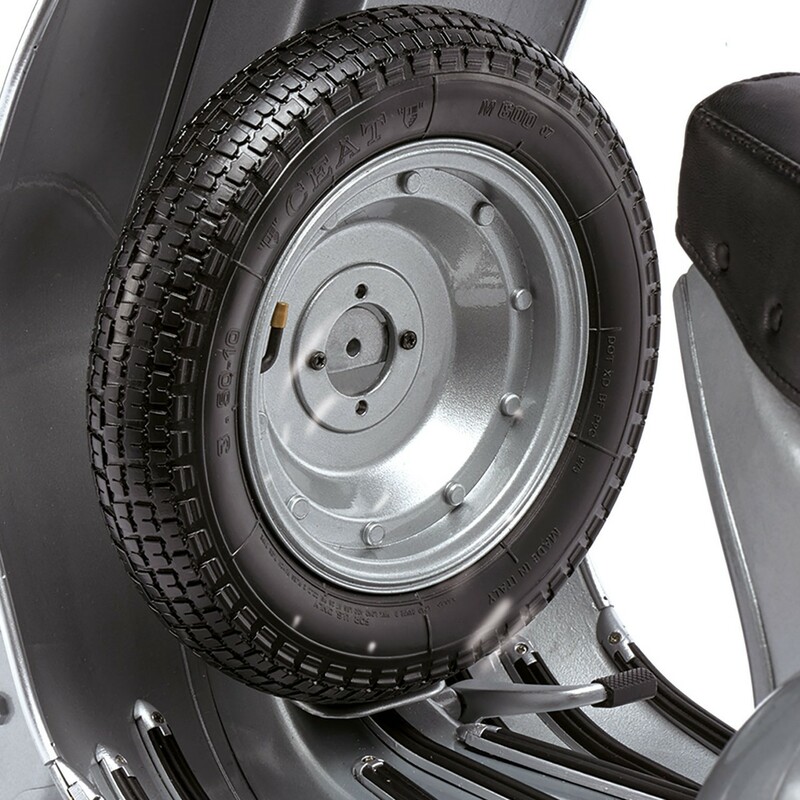 You can easily assemble your Vespa from the high-quality materials following the clear step-by-step instructions accompanied by detailed photos. Through your building experience, you will have help from the easy-to-follow step-by-step assembly guide. 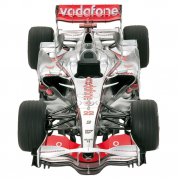 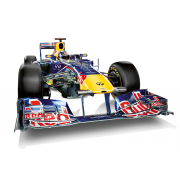 You can also take a look at our exclusive ModelSpace Forum and discuss with fellow modellers. 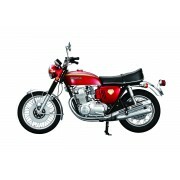 Even as a model-making novice, you can build this unique 1:3 scale model together in easy stages, learning the skills as you go.